How to move art and valuable items? The book is now available as a Kindle Edition! 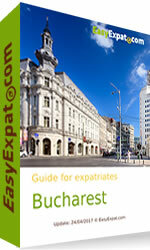 We are proud to launch our new city guide for expatriates in Bucharest, Romania. 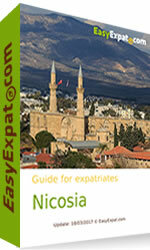 We are proud to launch our new city guide for expatriates in Nicosia, Cyprus. Though it is the third largest island in the Mediterranean and technically a part of Europe, Cyprus is much closer to the southern coast of Turkey and the western coast of Syria than to the other Mediterranean countries. We wish you all a very happy year 2017! We are excited to start a new year at EasyExpat and BlogExpat with even more guides (a new one on Cyprus is coming very soon), expat news and interviews. The year 2016 has been marked by Brexit Donald Trump's election Putin and Syria our selection of expat stories, chosen amongst hundreds of expat interviews that you find on BlogExpat's special platform, that are now illustrated and published in paperback. In the book you will enjoy the experience of other expats, their favourite moments and funny annecdotes that they share with us. For late presents, new year resolutions or to fight the new year blues, nothing better that ordering our new book (details below)! We are looking forward to see you again soon on EasyExpat.com! We are proud to publish for the first time in paperback a selection of those expat stories that you can read every week on BlogExpat.com. Selecting and compiling those interviews has been a long task but also a lot of fun with the variety of anecdotes and experiences that so many expats have shared with us. We hope that you will enjoy the book and share with all the past, current and future expats and friends that you know! Expat Health Insurance: Getting the right package! Ask yourself the right questions for your situation and choose the insurance plan that best suits your needs! 1) What is the local healthcare system like? If you’re travelling to the United States, Canada or the UK, you should be aware that the cost of healthcare in these countries is sometimes exorbitant. It’s a historic moment that will change the course of history for the people of the UK. For the last 43 years the UK has been a member of the EU which has shaped the way they trade, travel and interact with our neighbour economies. Since last Friday, this is all about to change. The UK have made the decision to withdraw from the EU, undoing decades of economic, social and political foundations. Today is the first time in history any country might invoke article 50 of the Lisbon treaty, the UK is the first country ever willing to withdraw its membership from the EU. David Cameron made his speech on Friday 24th and has announced he will be resigning in October. With so much uncertainty ahead in terms of how political and economic uncertainties go, how will Sterling cope with such a huge change in direction? Picture: Result of the referendum by regional voting areas.